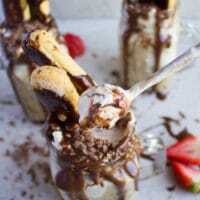 This is a such refreshing, decadent and luscious treat. I could have it all summer long, after every singe BBQ party and wouldn’t dream of anything else. 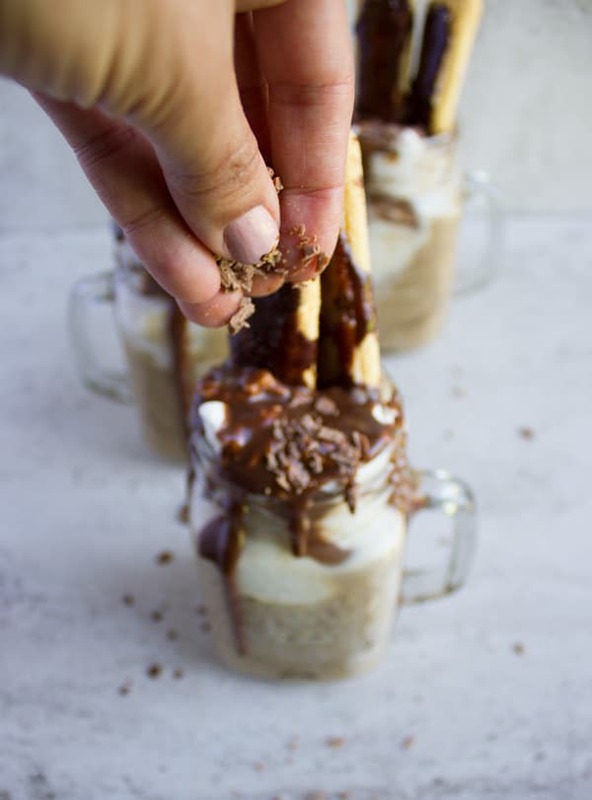 And this is not only because I love coffee way too much, but because I love GOOD coffee way too much 🙂 It’s the type of dessert you can whip up live with your friends and watch them all ooooh and ahhhh as you put it together. Last week I had two really old friends for lunch. We didn’t see each other in at least ten years, everyone is living miles away, everyone’s crazy busy with life and kids, and each time we planned to get together something had to happen so it wouldn’t work out. But when it happened, it so much fun! 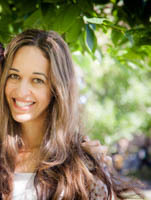 It felt as if it was almost ten years ago—how did time fly so fast, and how can I get it back? lol So that day we had a light salad and the coffee ice cream float put the perfect end to the day. It was devoured in minutes, no body took a second to think about calories 🙂 All we could think of was how crazy delicious that was! 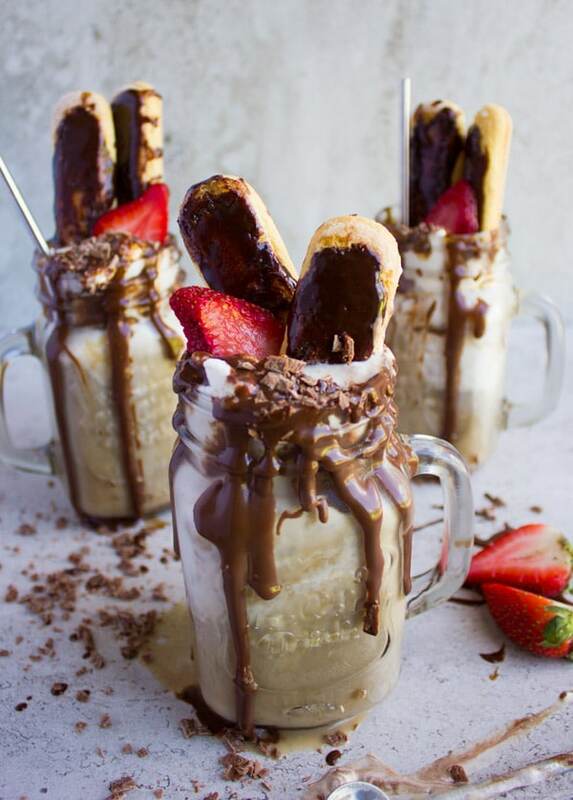 Let’s talk about this ice cream float. 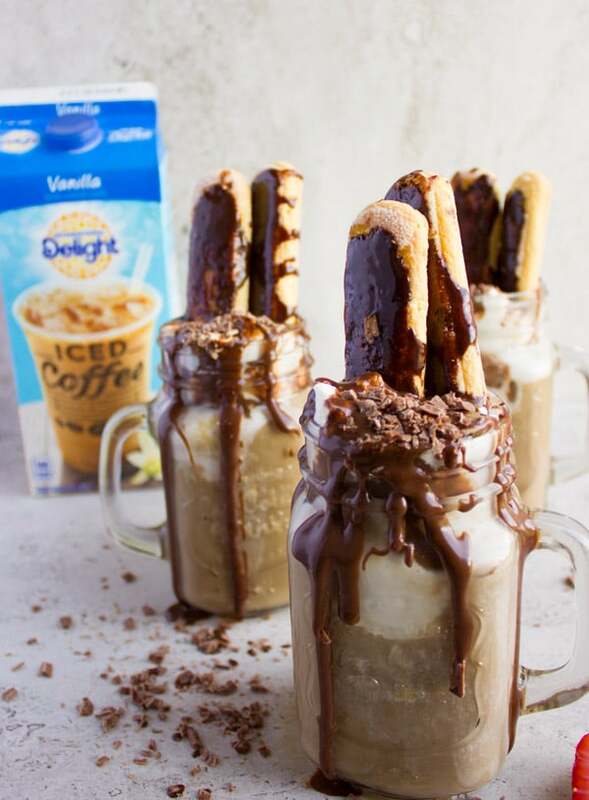 Imagine every sip/bite is a combo of vanilla iced coffee, luscious vanilla ice cream, smooth vanilla whipped cream, divine chocolate sauce, crunchy chocolate shavings and lady finger cookies. Certainly worth every sip. 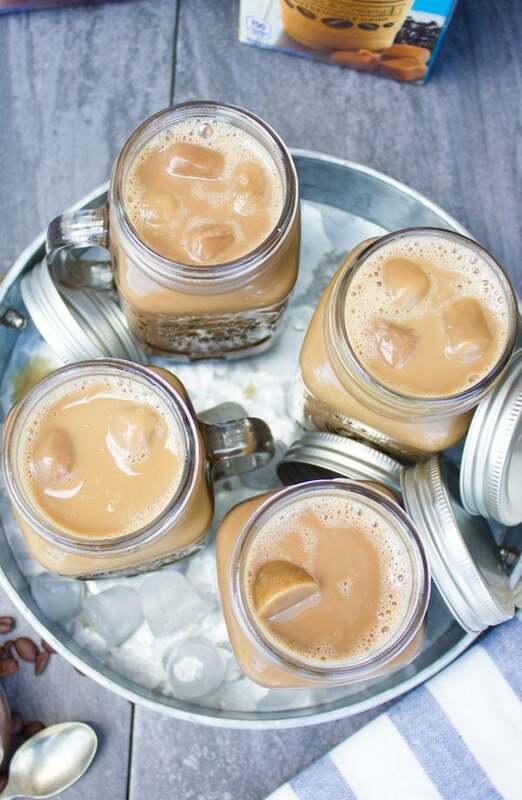 To break it down, first of all let’s talk about the iced coffee. 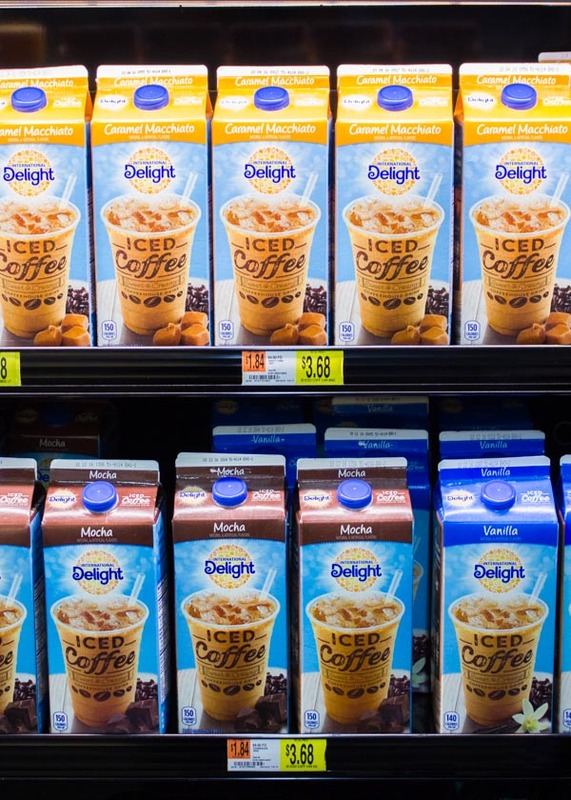 I picked my all time favorite International Delight® Iced Coffee from Walmart. 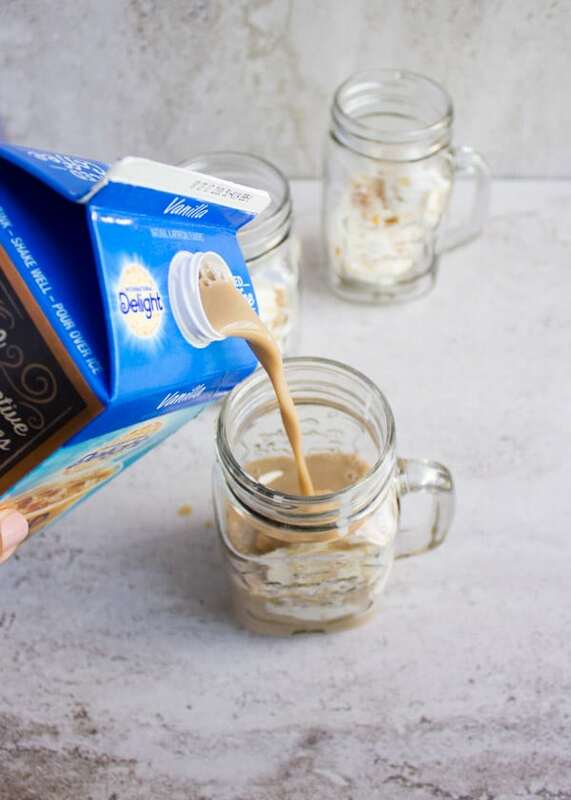 I chose today Vanilla for this recipe, but hello International Delight® Mocha Iced Coffee and International Delight® Caramel Macchiato Iced Coffee. 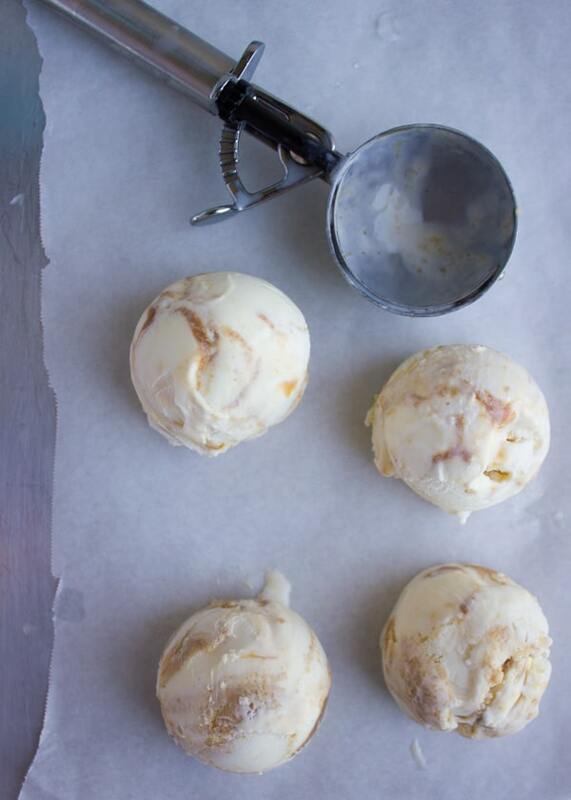 They would also make perfect Ice cream floats! 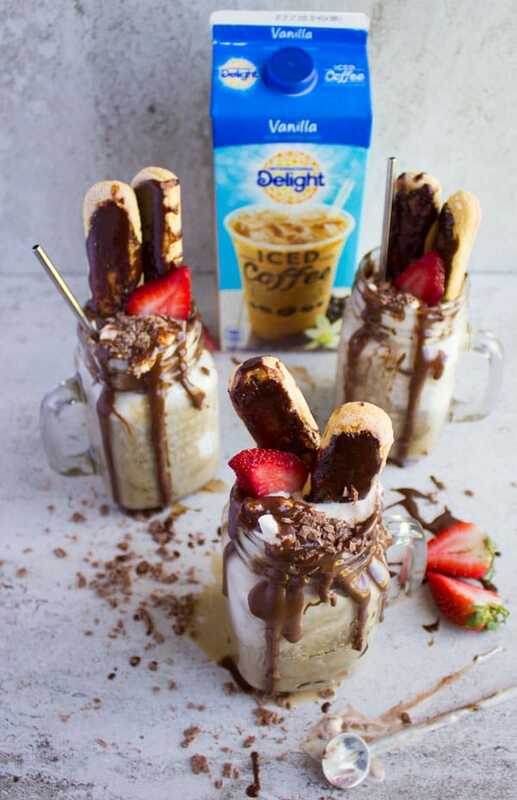 I love the International Delight® Iced Coffee because they’re just the perfect ready iced coffee drink. I store them in my fridge and they last for a while. Convenient and affordable. 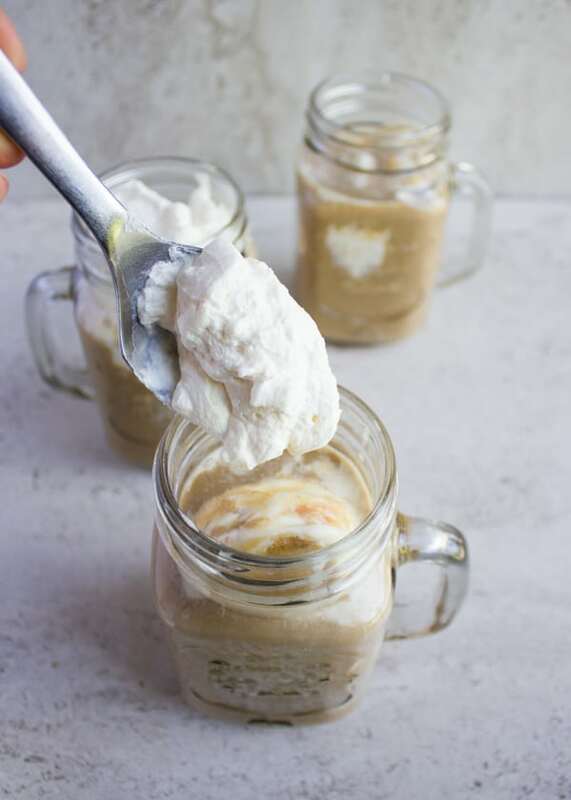 They’ve replaced my coffeehouse iced coffee and now I’m making ice cream floats with them too 🙂 You’ll need to try and see for yourself! 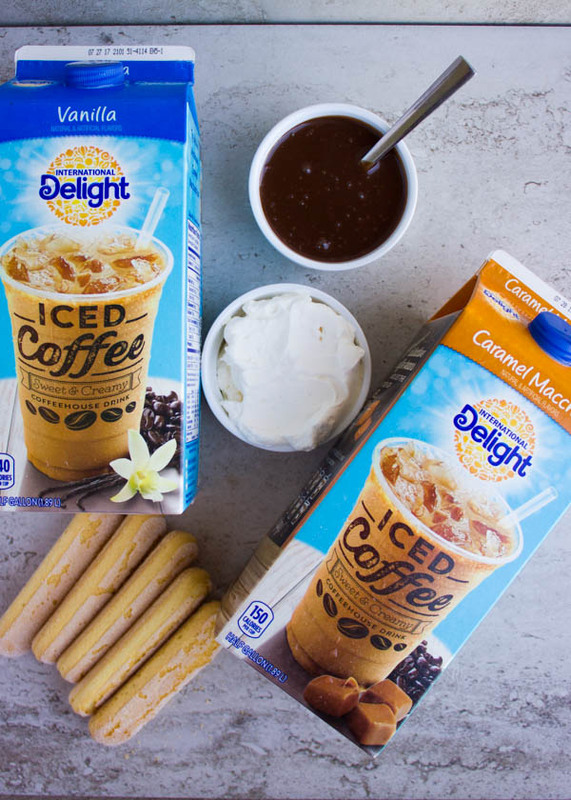 Pick you favorite flavor , either International Delight® Mocha Iced Coffee (Coffee and Chocolate Love all in one), International Delight® Vanilla Iced Coffee (classic bold blast of vanilla) or the International Delight® Caramel Macchiato Iced Coffee (caramel, vanilla and coffee all in one). Better off, try them all and pick your favorite! Finally, before I let you go with this amazing recipe. I just wanted to quickly talk chocolate sauce. I make it using equal parts chocolate chunks to heavy cream. So 1 cup to a cup. Put that all in a microwave safe bowl and microwave for a minute and a half then whisk until smooth. 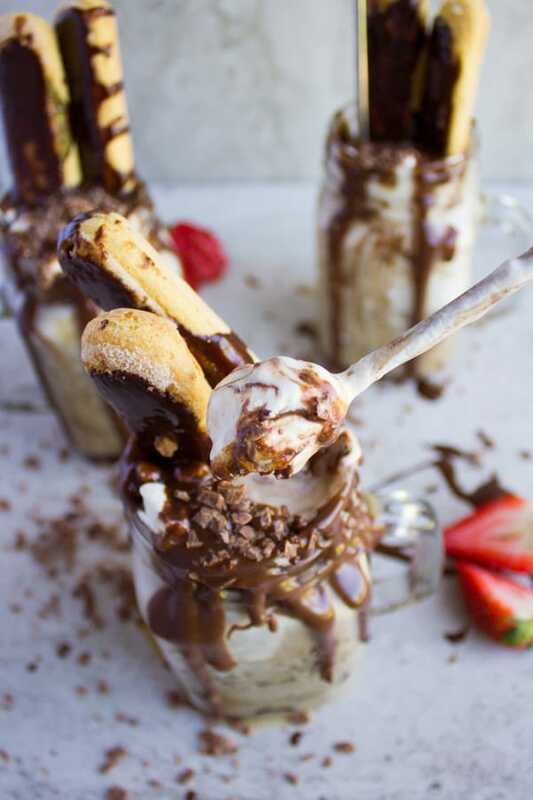 The sauce needs to cool down completely before using it because otherwise it’ll melt the whipped cream and ice cream float. You can chill it in the fridge/freezer or also you can prepare it ahead of time (keeps in the fridge in a sealed container for 10 days). 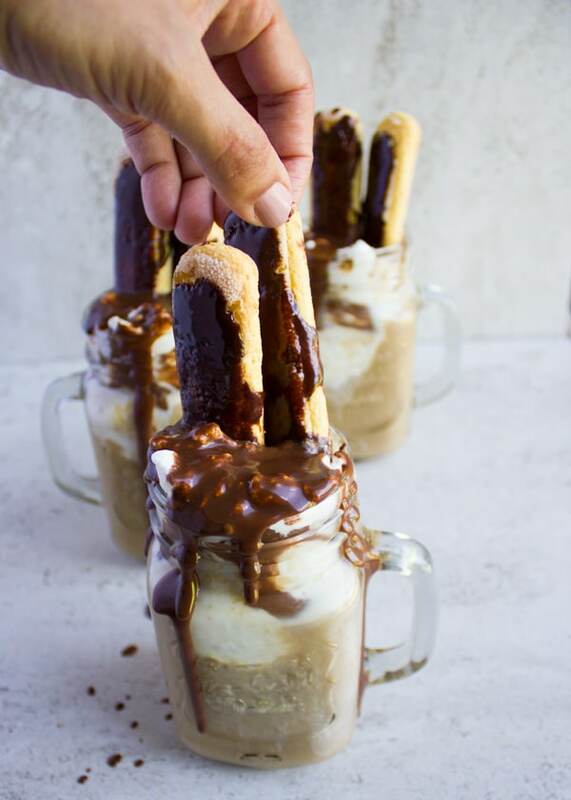 Now go ahead make yourself a Tiramisu Iced Coffee Ice Cream Float and enjoy every second of it! 🙂 And Have a look here for recipes and inspiration! 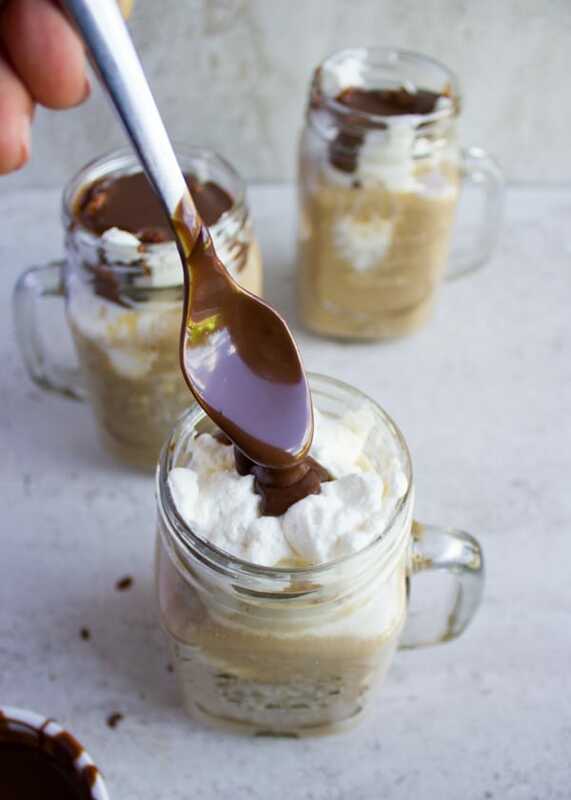 Place about about 2 scoops of ice cream at the bottom of each glass and pour the Iced Coffee over it filling about 3/4th of the way. Then top that with whipped cream and drizzle some chocolate to your taste. Now stick a coupe of lady fingers in the cup and serve right away! 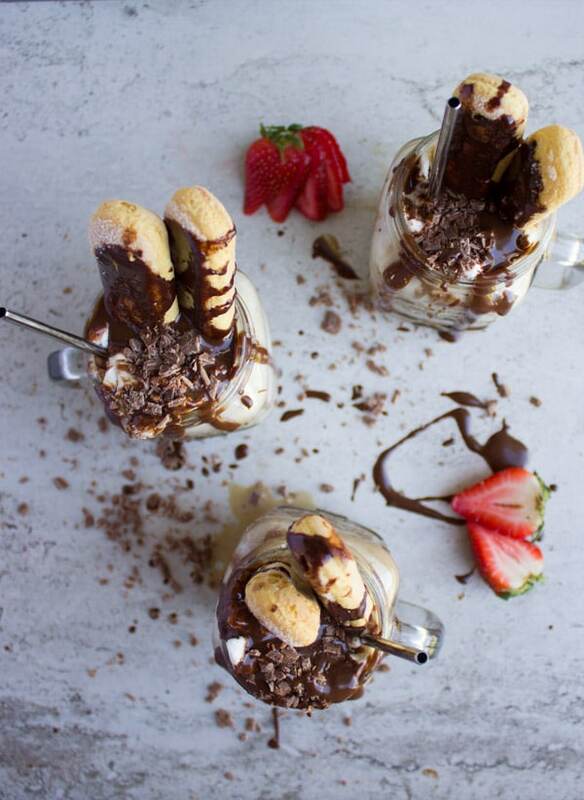 To make the chocolate sauce, put the ingredients in a bowl and microwave ofr about 1-2 minutes, then whisk until smooth. Great recipe! need to make it ASAP!!!!! hahaha I would feel the same! !